These reports are my personal views, study and observations. Estimates and forecasts are also my own calculations and views, and may/may not tally with any other estimates. This may not be used for commercial purposes. The author is not responsible for any commercial loss from this article, or this series of articles. The Monsoon developments, as they unfold, will be analysed and discussed and explained in Vagaries. The South West Monsoon is just about 35 days away from its normal date of arrival from the shores of India ! Yes ! its just 35 days from the First touch of shores...Southern most point of India on the South Andaman Islands, Indira Point, where the normal arrival date is 15th May. And its about time we start the follow up of its progress and monitor its developments. 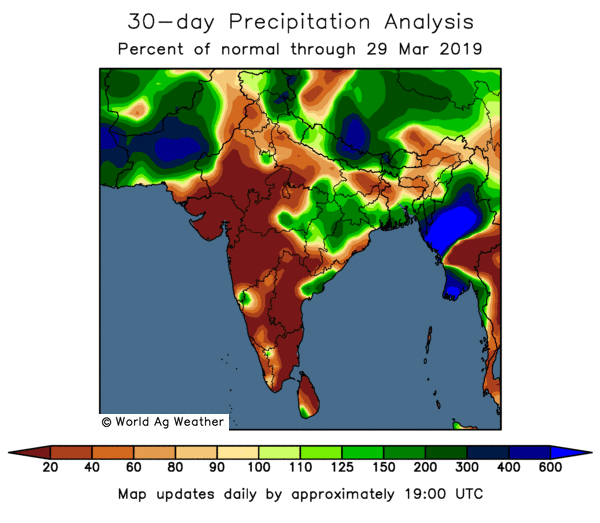 The Sub-Continent is eagerly awaiting its share of 2019 monsoon rains ! This annual series is a follow up and chasing of the South-West Monsoon. Every article in this series explains the synoptic situation as it actually is, and based on the day's position, the date and quantum of rains as on THIS SITUATION. It is very important to firstly estimate the date of arrival of the South West Monsoon, as year to year, variations in dates of onset of the monsoon can occur and there have been several occasions in the past when the monsoon arrived over certain parts of the country about a fortnight earlier or later than the normal dates. The SWM has the weatherman tearing at his hair for the exact date or time, extent and progress. This is never 100 per cent sure though various weather models are used to calculate this event. 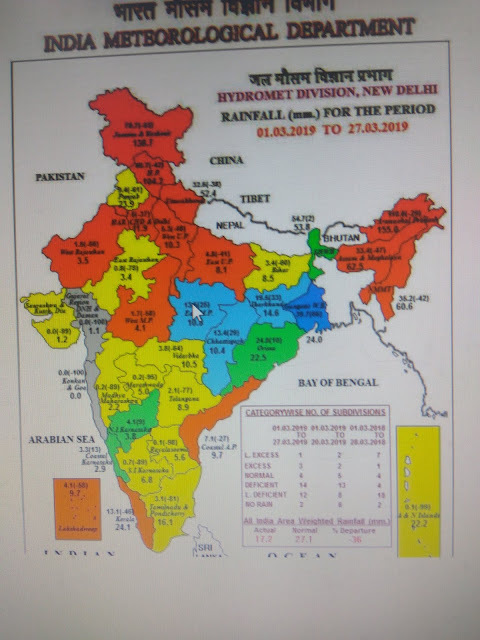 Initially, in the first few parts, of this series will be chasing and closely following up the actual developments of the monsoon parameters, and analysing its progress regionally for calculating and estimating the arrival date. We are not yet contemplating the quantum of rains or the monsoon strength as yet. A)-This is the Ideal Conditions During SWM Onset in Early June. B)below indicates the actual situation of the parameters situation today (9th April). Very very briefly, let us first understand, that the "power house" of our SWM is actually based far away in the southern Hemisphere. The main "generating factory" is the Mascarene Highs, between SE of the Madagascar coast and Australia. The SWM is born down South, 4000 kms from the Indian Mainland ! The proper formation of these "High" regions,(1032/1034 mb at least) will boost and create proper South East winds to lash the East African Coast near the Equator, and then turn perpendicular to South West in the Northern Hemisphere. To generate a powerful SW wind, the cross equatorial flow must be strong and gusty. SW winds (ultimately upto 600 mb levels) then are capable of riding on the warmer Arabian Sea waters (Arabian Sea Branch of SWM) and bring cloud masses towards the West Coast of India. In the Bay, similar SW winds are generated (Bay branch of SWM), but from SE winds below the equator, just below Sri Lanka. And to attract the SW winds, again, we need a good proper "seasonal low" to develop in the Sub-Continent. 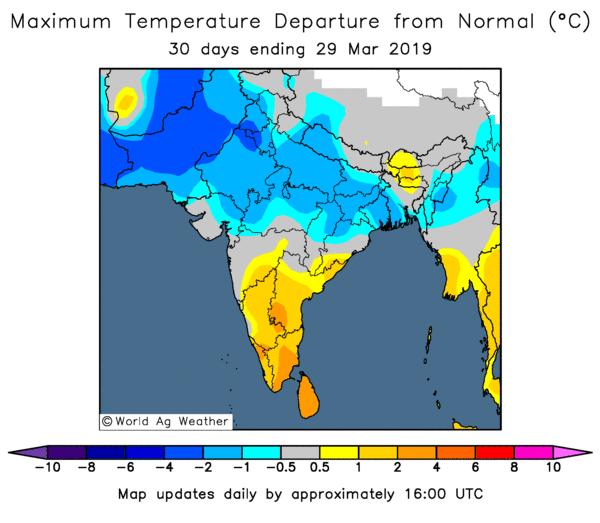 This seasonal low, normally should start forming around Barmer, Rajasthan, by mid April, and at its peak stretch upto Arabia. Seasonal low at its peak, in early June, should normally be around 994 mb, and the ridge around Kerala should be 1008/1010 mb. This enables a good gradient to pull the SWM Northwards along the coast and inland. B)-In this initial stage, we will observe the basic root and foundation, the initial 4 parameters only, and the initial seed of the monsoon. From these parameters, later a few more develop. 1. 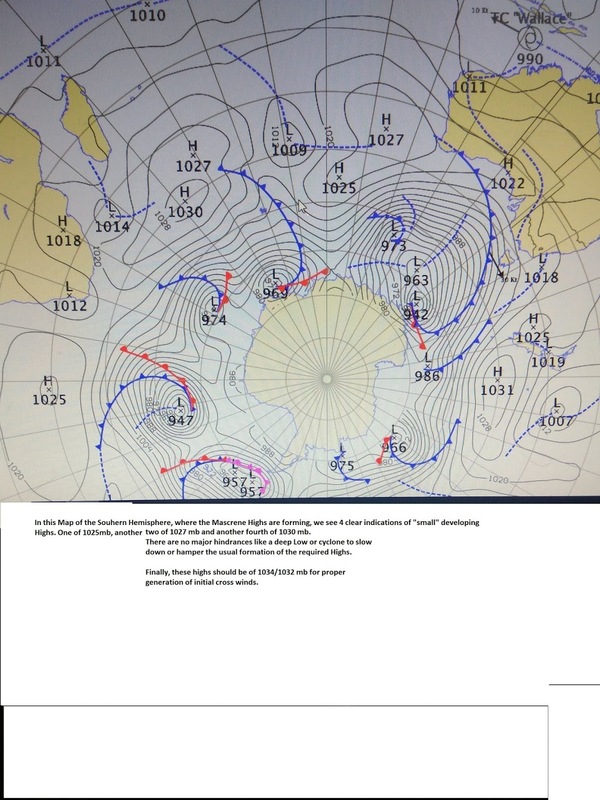 Cross Equatorial Winds from Southern Hemisphere. The Mascarene Highs are the main "Power House" of the South -West Monsoons. This generates the South -East winds, which after gaining strength, cross the equator and become south west. For a proper High to form in the South Indian Ocean, the cyclone season (Low pressures) should completely die down from that region. As on date today, the Mascarene Highs is yet to form in the required region. Cross Equatorial Winds should start forming, and taking shape from mid -April, especially in the South Indian ocean region. Initial forming of SE winds off the East African Coast has not started from below the equator. Weak SW flow below Sri Lanka (in the Southern Hemisphere) can be see, though a bit dis-organised. High pressure in the Arabian Sea has reversed the flow in the Sea. Today, the winds North of the Equator revolve round a High in the Arabian Sea (normal). As the Monsoon strikes the Andaman Sea by mid May, developing wind currents ( Westerly) are required to be observed initially near the Eastern side of the Southern Indian Ocean, and this is weakly forming as of today, Southerly flows are striking Sumatra. Winds are from the East in the Southern Andaman Sea. 2. 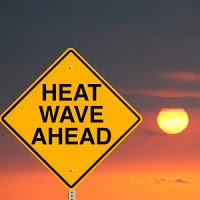 Seasonal Low: Now, this year, the heating in the sub continent has started from March end , with Heat Waves in Gujarat, Central India and parts of NW India.. The above normal heating in many parts continues in April. On an average, March has registered normal temperature (average day and night) in North, and above normal in Central ad South. The above normal heating in many parts continues in April. The first 45c 0f the Sub Continent was at Nawabshah on 3rd April. Below normal rainfall...17.2 mms received against the normal required of 27.1 mms (-36%).. In June,the seasonal low, which stretches to Arabia from India, normally starts forming in the Barmer and adjoining regions in the second week of April. Today, the MSL is around 1008 mb in the North Rajasthan/Sindh region. There is a isobar of 1008/1010 mb covering almost the entire Indian region. In the "core seed" area, it 1008 mb. (The ultimate low in the core, in June when ready, should be 994mb.). This progress is bit tardy. The current Line of Wind Discontinuity should stabilise around Central India perpendicular down into the Southern Peninsula. This enhances the speed of the Seasonal Low formation. Normally is required to start taking shape for the monsoon by the second week of April. 3. ENSO is on way to a El Nino Stage. The pattern of anomalous convection and winds are consistent with El Niño. Hemisphere spring 2019 (~80% chance) and summer (~60% chance). SOI is rising, and is now at - 6.8 ...Now "coming into the Neutral range"..30 days ago It was -13.5. The Oceanic Nino Index (ONI) is based on SST departures from average in the Niño 3.4 region, and is a principal measure for monitoring, assessing, and predicting ENSO. The last 3 overlapping seasons show towards establishment of a neutral event. ONI latest is 0.8... Just marginal, could get higher in the coming months...But at this stage, it cannot be surely mentioned, that an El Nino stage could fully develop by June, the onset time of our South West Monsoon. ( 0.5 - -0.5 is neutral. Above 0.5 is El Nino, and below -0.5 is La Nina). Indicator: Heading towards EL Nino. 4. Another pre monsoon seasonal normal requirement is the creation of a low in the Bay by the second week of April. This is necessary to trigger off the flow and formation of lows from the bay. Progress this year is bad, as the Bay shows no signs today. No forecast of any low as of now. (in 2009,a low formed by the 12th. of April, and later it intensified into cyclone "Bijli", 2010 had no low till 3rd week of april). Today, we have East winds. The required SW winds may not yet form at least for the next 3/4 days, as a High is likely to form later this week off Odisha Coast. Summary for arrival Date: Parameter 1). Normal. Parameter 2). +ve, Parameter 3). Towards El Nino, Parameter 4). -ve. Summary: Tilted towards the normal, as of 10th April. Parameters analysed as of now show normal progress for Monsoon Advance on time. New Readers, please note, These initial Parameters are normally (every year) considered in MW Series to gauge and estimate the arrival date of SWM, not strength. Time of arrival normally indicated in MW-3, and strength after 27th April. There are more parameters are to be considered, as and when they are developed and to be taken into consideration. In depth detailed analysis as always been done by you every year. Any update on pre-monsoon rains / formation LWD over southern India? Will 2019 be repetition of 2016 - horrible drought haunted southern India? Skymet is changing its forecast for 2019 frequently - from normal to below normal it is - hilarious. In past also many times they went off-track! Just came across some research article. New government agenda should be interlinking of rivers -> perennial northern rivers with chronic drought areas of southern India specially (south eastern India - which is in mercy of ever failing north east monsoons).